After a state runner-up finish two years ago, last year's 11-16 record came as a disappointment for the Mustangs. But 15 of those 16 losses averaged a 5.8 point margin, placing Wekiva on the edge of greatness. 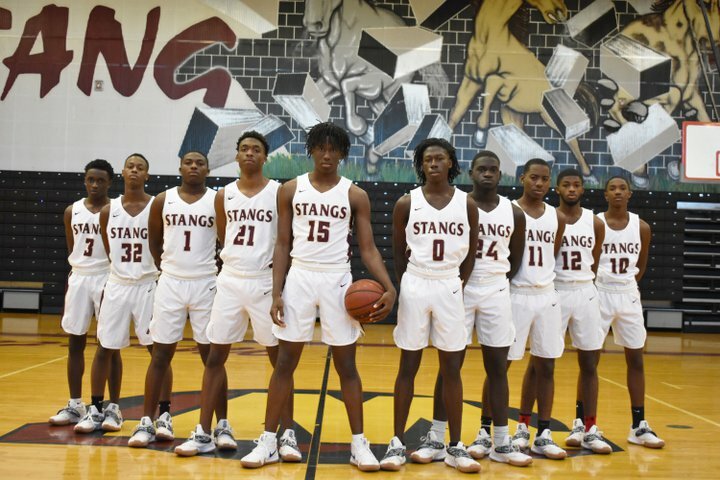 This year the Mustangs will look to the talents of their new and returning players to play their brand of basketball and get back into the state tournament. After graduating Sentinel All-Area players Tyrone Perry and Jeremy Johnson last year, the Mustangs return sophomore starter Michael James and senior leaders Xavier Christian and Issac Laster. While a few other Mustangs like Jayden Battle saw some varsity action last year, most returners are promotions from last year's JV squad. Senior newcomer Terence McClain has added some much-needed firepower to the Mustang offense, while Latavius Poole looks to walk in the footsteps of Michael James as a top-prospect direct-to-varsity freshman, picking up a double-double in his first ever high school game. Isiah Laster joins his brother while Neil Fleurvil and Tristan Bryan try their hand at varsity play after a successful JV run.